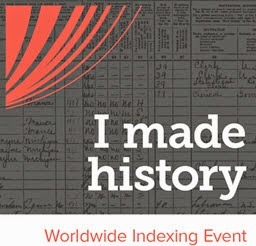 s I mentioned in an early post, I had my DNA tested through Ancestry.com. I have looked at numerous results from my cousin “hits” but I found that it was getting hard to organize and remember all the details. To solve that problem, I designed a chart, which has helped me considerably. I used Word to format it (landscape mode), but you could use Excel or some other program. On Ancestry.com, people often go by screen names. Once I learn a person’s real name I enter that in the chart. You can chat via Ancestry, but it is also helpful if you have a person’s e-mail address so you can send documents back and forth. Once I learn the e-mail address, I pop that in the chart. I record the date I e-mail a potential cousin and, if they respond, I note that also. I also have a column for whose turn it is to respond. It gets confusing after several e-mails to dozens of people. In the last column called “Miscellaneous” I put their cousin rank (4th-6th or 5th – 8th). I also add notes about surnames and geographical locations they have in common with my ancestors. As I correspond with a person, I add more notes in this column, such as “sent them my Brashear pedigree” or whether their tree is private. Now, when I receive an e-mail or message on Ancestry, I can quickly search my chart and respond intelligently. Because there is so much information in the genealogy world, charts have been used for ages. Remember, charts are good. Carry on!